The Boca men’s open team will add another chapter to the 34-year old club history books as the men of Blue and Gold square-off against the Michigan Bucks of the USL in Pontiac Michigan in the first round of the Lamar Hunt U.S. Open Cup on May 15. Boca becomes the first amateur club from NJ to qualify for the Cup in the modern pro-soccer era. LAKEWOOD, NJ (May 4, 2012) – The Jersey Shore Boca men’s open team will add another chapter to the club history books on May 15 as the men of blue and gold will square-off against the Michigan Bucks of the USL Premiere Development League in Pontiac Michigan in the first round of the Lamar Hunt U.S. Open Cup. The first-round Open Cup match will be played at the Ultimate Soccer Complex in Pontiac with a scheduled kick-off at 7:30pm eastern time. It will be the first time in the club’s 34-year history that a Boca team will appear in the prestigious competition and the first time in the modern professional soccer era (1995 to present) that an amateur team from New Jersey will make an appearance in the Cup. The 2012 Jersey Shore Boca men’s open team will write another chapter in the Boca history books when they appear in the first round of the Lamar Hunt U.S. Open Cup on May 15 in Pontiac, Michigan, The team became the first amateur club from New Jersey to qualify for the Open Cup in the modern professional-soccer era (1995 to present). The last USASA (United States Adult Soccer Association) team from the Garden State to participate in the Open Cup was FC Porto in 1993. The Lamar Hunt U.S. Open Cup is a knockout tournament in American soccer that was first held in 1913 when it was called the National Challenge Cup. The tournament is the oldest ongoing national soccer competition in the U.S. and is presently open to all United States Soccer Federation affiliated teams, from amateur adult club teams to the professional clubs of Major League Soccer. The defending Open Cup champions are Seattle Sounders FC, who beat the Chicago Fire 2-0 in the 2011 final. It was the Sounders’ third Open Cup title, as well as their third consecutive title won. 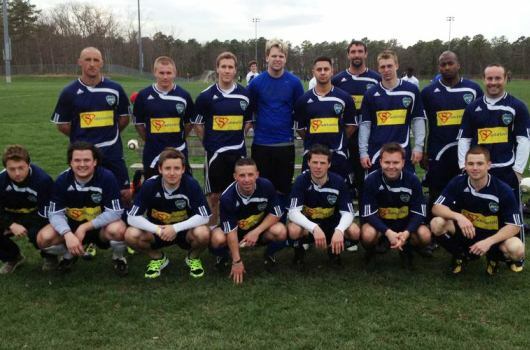 The Boca men qualified for the 2012 tournament due to their third place finish in the 2012 USASA Regional Tournament held April 27 on Randall’s Island in New York. If the Boca men advance into the Cup second round, they will travel to Pittsburgh for a meeting with USL-Pro side Pittsburgh Riverhounds on May 22 at Chartiers Valley Stadium in Bridgeville, PA at 7pm. Mike McCullion, who starred at Monsignor Donovan High School and The College of New Jersey, is the coach of the Boca Men’s Open team. The Club is celebrating their 34-year anniversary in 2012.